Not too long ago I drank quite a bit of Australian wine, particularly Shiraz. Given that this grape, also known as Syrah, expresses greatness in the Barossa Valley I could not pass an opportunity to revisit this region for this months’ Wine Blogging Wednesday. Our host, Adam from Wine Zag, proposed we look for any wine from Australia’s Barossa Valley but for me only Shiraz would do, much the same way only Cabernet would do for Napa Valley. One other limitation was to choose a wine for $30 USD or less. I’m well aquatinted with great values from Barossa but have not tasted any lately so I was a little concerned as I entered my local wine store to explore the options available this week. The main reason for my exile from Barossa and most of the wines of Australia of late has been value. There are many great wines made in Australia but far fewer under $30 than in the past (at least it seems to me). Some of this is due to shipping costs; some of this is due to exchange rates. Today the best bang for the (American) buck comes from the Iberian peninsula or lesser known parts of Italy and France. Even California, Washington State and Oregon are bringing the value in these recessionary times. But there still are some producers who are managing to bring the value from Barossa even today. One of those is Schild Estate, a family run winery in Barossa that over delivers value if judged by the wine I tasted this evening. Established in 1952, this winery produces a range of wines but with an emphasis on Shiraz. And after tasting their entry level Shiraz today, I can see why they lavish so much attention on the variety. It is because it’s delicious. Schild Estate Wines, Shiraz, Barossa 2009 ($18) – Dark purple in color with aromas of cherry, plum, bacon, and black licorice. Round in the mouth with concentrated blackberry, plum and black pepper flavors finishing with savory tannins. A very nice expression of Aussie Shiraz at a stunning price. Thanks go to Adam for hosting this month and for provoking me to taste a Barossa wine and blog about it. 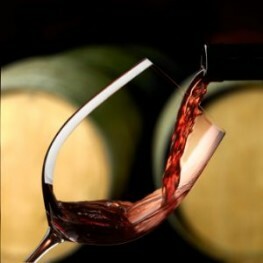 Stay tuned for next months edition of our global virtual tasting to be announced soon. Although I was an avid and longtime reader of Dottie Gaiter and John Brecher’s weekly Wall Street Journal wine column, I never have participated in Open That Bottle Night (OTBN). Started in 2000, the event was created as an excuse to open a special wine that remains for whatever reason languishing in your cellar. I have had several candidates for such treatment but when the last Saturday in February arrived I never thought to actually open one of these long forgotten bottles. That was until this past weekend when I saw someone mention the event on Twitter and decided to take action. 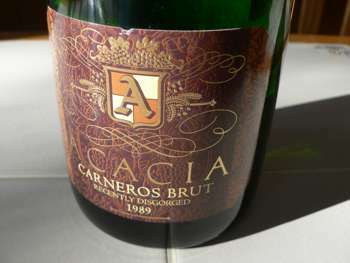 The bottle in question is a 1989 Acacia Vineyard Carneros Brut sparkling wine “recently disgorged”. The recently disgorged style was developed by Bollenger in 1961 for their 1952 Bollinger Grande Année. The extra bottle age before the yeast is removed and the final dosage is added gives the wine additional flavor and complexity. And by disgorging the yeast late, the wine also retains more freshness and fruit than if the bottle was aged after disgorgement. Since I received the bottle of Acacia as part of their wine club shipment in 2005 or 2006, I assume the wine was left for a decade or more on the lees in bottle. Since 1989 is the year of my daughter’s birth, I assumed we would open the bottle a couple years ago as part of her 21st birthday celebration. For one reason or another the bottle remained in the cellar and so I naturally assumed the worst as I plucked the bottle from the rack. I’ve had my share of over the hill wines. Most of the time those blasted plastic corks are to blame but other times it’s simply a bottle left far past it’s proper drinking window. For those of us with collections, this happens more often than you might expect but the Great Recession has greatly depleted my cellar and so these bottles are now much easier to spot. This particular Acacia Brut was a perfect choice for OTBN as there was the chance of magic. I’ve had their sparkling wines before after extended aging and enjoyed them and the promise of a wine disgorged only 8 years ago or so made me optimistic as I eased the cork from the bottle with a satisfying pop. Pouring the wine in the flute showed a still vigorous bead of fine bubbles through a rich golden yellow color. Since it was still on the light golden side, somewhat like apple juice, I thought that perhaps there might be something left to this wine. All of these hopes were dashed when I lifted the flute to my nose and got the unmistakable whiff of oxidized wine. But there was still some yeasty bread notes, citrus and almond there so I took a sip over my sink thinking it would most likely be immediately spit out. But the flavors are still actually pretty nice. Some Sherry-like oxidative elements to be sure but also lemon and some green apple flavors that finish clean with bright acidity. The yeast had certainly left it’s mark in palate weight and complexity, as well, with a pleasant nuttiness on the long finish. Overall, the wine has clearly seen better days but is still interesting even with the somewhat off-putting aromas. Three days later I have another glass siting in front of me as I finish this post. No, this is not a great wine but enjoyable none the less, and I’m quite happy Open That Bottle Night presented an excuse to try it. Otherwise, I’m sure it would have just gone down the drain in 5 or 6 more years. So if you have a long forgotten bottle collecting dust, get a corkscrew and see what you have there. You might just get lucky and discover something interesting. Jeff Lefevere and I return to review the top wine stories of the past month including tongue-twisting wine names, a disturbing wine manifesto, trends in wine marketing, the stellar 2009 Bordeaux vintage and much more. If the wine is hard to pronounce, is it worth more? Has wine lost it’s romance? 2009 Bordeaux: vintage of the century? Will drinking too much wine give you cancer? Wine: Is The Romance Gone? BERGER: A preference toward lower-alcohol wines? Copyright 2012 Acan Media, Inc. Licensed under Creative Commons. 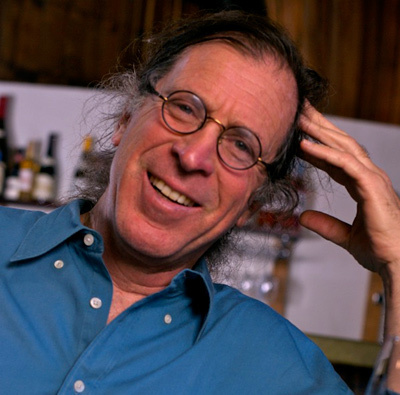 Randall Grahm is one of the true characters of the American wine scene. A self-styled terroirist, intuitive branding genius and all around eccentric, Grahm has taken his Bonny Doon Vineyard on quite a ride over nearly the past 30 years. After setting out in 1983 to make great Pinot Noir in California, Grahm was drawn to Rhône varieties — long before it was cool — and blazed an innovative trail. Years past and the winery continued to grow particularly at the entry level with the ubiquitous Big House brand. But being a terroir driven vintner who presides over blending sessions in industrial wineries can’t be a lot of fun. So in 2006 Grahm sold the Big House brand to The Wine Group and spun off Pacific Rim into it’s own business with outside partners. By his own admission Grahm has downsized his once considerable enterprise by a factor of ten and the business model of a modest winery today is a lot different than when he got started. Today the consumer has more tools to help them choose a wine in the store using smartphones and apps like Hello Vino. Social networks such as Twitter and Facebook can connect friends from Barstow to Barcelona in near real time for instant recommendations. And wine distributors, who used to be the winery’s “feet on the street”, have become nothing more than extensions of the sales force for large volume brands like Gallo, Kendall-Jackson and, somewhat ironically in this context, The Wine Group. It appears Mr. Grahm is well aware of the current realities in the wine market and his own transformation from selling mostly through distribution to mostly direct to consumer after reading a very revealing post on his blog earlier this week. I have the opportunity in my day job to have frank conversations about the wine business but none of these surface here as they are off the record. Seeing similar issues presented in a long-form post on a winery blog is most refreshing and frankly breathtaking. I’m sure there is a bit of added drama at play here and the Dooniverse is not really on the edge of ruin but if it is that would be most distressing. The wine world with Randall Grahm and Bonny Doon in it is much better than the reverse. Get social – Dude, you have over 350,000 Twitter followers! No other vintner is even close. Use it occasionally to sell your wine. I’d probably also figure out how to convert some of those followers to Facebook Page likes, too (only 5,000 there now). I know you have a social media strategy and do better than most in the wine business but a bit more wood behind this arrow would pay off handsomely at the very least in positive word of mouth. Embrace Video – Unlike a lot of winery owners you have a rich story to tell with passion and nuance. Use video to get more of your story onto the social web to get some of those Milleninals exposed to your brand. You are sort of dabbling at this now; commit to a regular schedule. Open A Bay Area Tasting Room – Hate to say it but Santa Cruz is kind of out of the way for many to get exposed to Bonny Doon wines. I’d take my hospitality closer to the customer and look for a space in San Francisco (SoMa, Dogpatch, Haight, etc.). Ditch That Flash Website – I mean it’s 2012 and a lot of folks have iPads. All of that cute animation can be done in HTML 5. Spruce Up The Wines – This is the least important on the list but one that deserves some consideration. I have to admit aside from the occasional bottle of Le Cigare Volant I have not tasted through your lineup in a while but a peek at CellarTracker reveals some improvement can be made. These days a $25 wine better taste like a $35 or $40 wine or people will buy alternatives that over-perform their price point. Hope this helps, Sir. Let us know how it goes.